Scientific research has yielded deep understanding on the human senses of sight, hearing, smell, and taste. But knowledge about bodily perceptions of the sense of touch is still limited. For example, during a handshake, who is shaking whose hand? The answer to this question is just one of the multifaceted aspects of touch being studied by 'haptics scientist' Masashi Nakatani. "I am intrigued by human somatosensory (touch and body) perception and its utilization for positive psychological and cognitive effects in our daily lives," says Nakatani, who commenced his research on the Shonan Fujisawa Campus (SFC), Keio University, in April 2017. "I started studying touch modality 16 years ago as an undergraduate. My doctorate was about human tactile perception for developing tactile displays that can provide information through the skin surface." After his doctorate, Nakatani investigated touch receptors embedded in the skin in a dermatology laboratory and also worked in industry on developing tactile sensors for evaluating cosmetics. Now, Nakatani is concentrating on developmental psychology in infants, a topic that was triggered by a chance meeting with an educator developing parenting classes for children from 0 to 6 years old, who wanted to use state-of-the-art media technology that included haptics. "This sounded like a very cool concept and I decided to collaborate to develop a parenting service for children," explains Nakatani. "I'm studying how infants explore and 'feel their world' using their vision and touch before they have even acquired language skills. They are collecting information needed to survive." Underscoring concerns about the effects of modern technology on children's behavior, Nakatani is analyzing how current technologies such as smartphones and tablet PCs affect their visual and haptic exploratory behavior. 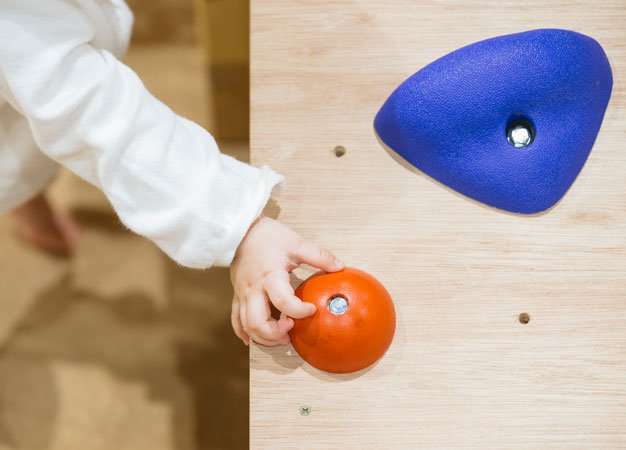 "My working hypothesis is that some kids have less opportunities to explore with touch modality because of exposure to massive amounts of information and communications via visual modality, so that they explore environments less manually and actively," explains Nakatani. The Keio SFC campus is also conducive for interdisciplinary research, an important factor for Nakatani to be able to pursue his studies on haptics and other research field. "I am working with a music-neuroscientist, Dr. Shinya Fujii, on the relationship between auditory and haptic feedback on subjective frisson, that is the 'feeling of being chilled and touched'," says Nakatani. "One of my goals is to clarify how body perception helps us acquire cognitive skills that are unique to human beings, particularly in the modern information age" (Fig.1). Nakatani and colleagues invented the TECHTILE toolkit to promote people to appreciate the sense of touch. "I think that modern haptic devices must provide greater value for us to enjoy our daily lives," says Nakatani. 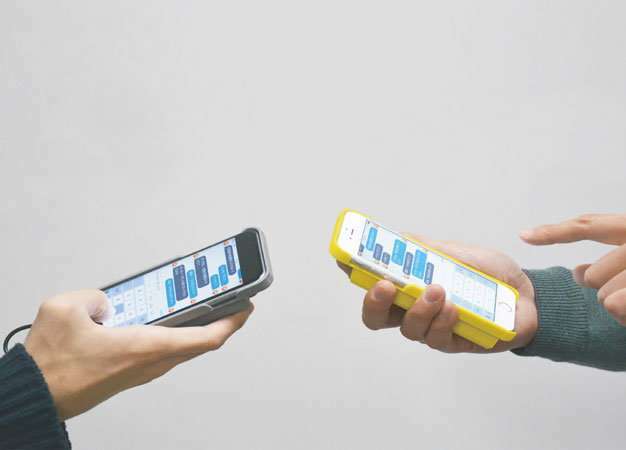 One of Nakatani's students, Kazuki Sakurada, has developed a smartphone-based haptic chat system with audio-vibrotactile feedback to provide a sense of presence of others during text conversations. "This study may yield clues about the importance of somatic feedback in emotional attachment with other people (Fig. 2)," says Nakatani. "In the long term, I would like to enhance human abilities to extract valuable knowledge from overwhelming, excessive information in the environment."